Welcome Ladies and Gentleblocks to another tutorial. 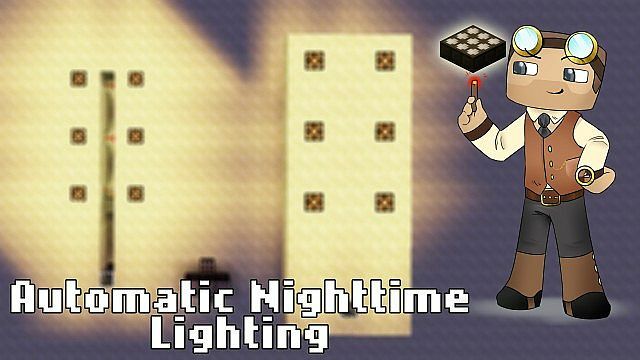 Today I'm going to briefly show you how to make your very own, fully-automated nighttime lighting system which relies on the usage of a new block that was implemented in the latest 13w01a/b snapshot. The new daylight detector block itself, is a fairly inexpensive, but at the same time expensive block to make. It requires 3 blocks of glass and 3 wooden slabs, which are very easy to acquire. However, it also requires 3 nether quartz. Nether quartz is only obtainable through the mining of Nether Quartz Ore, in the.... you guessed it!... Nether. The daylight sensor is placed underneath a glass block (to improve accuracy) and provides a redstone signal during daytime to the inverter. This powers the block with the redstone torch on it, switching the torch off. This de-powers all of the redstone lamps. Once nighttime comes, the signal from the sensor is stopped and the redstone torch switches back on, and all the lights switch on. If this tutorial has helped you, then my job is done! Have fun making your own contraptions! Thank you for posting this blog. I am now aware of the snapshot. - *Jeb sees Oliver's post* "I know! Let's make redstone only work with a continued power source! No more silly redstone torches! Muahahahahaha." Pretty simple redstone if you think about it, Very well done good sir. Sorry i DON'T unsderstand, can you help? Yeah sure, what a lie. 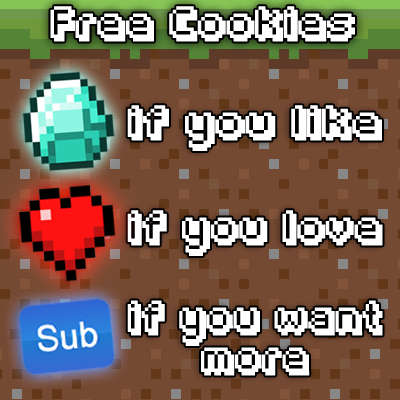 i diamonded and i did not get a freaking cookie?!??! I know, right. Now, along with cake, cookies are also lies. Dammit. Why yus, yus it is. I knew someone would build something like this. It's rather simple honestly but im glad you put a tutorial up for people who wouldn't understand it. lol I know. Like you said, I was doing this for those players who aren't experienced in redstone, etc. 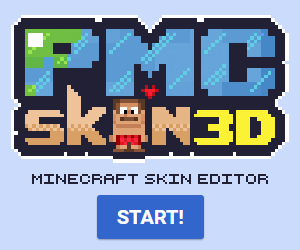 You can't get command blocks in survival. Yeah, but using /give is "cheating". Stealth meant that you can't get command blocks without spawning them in. Ahaha, I'm sure you'll be able to make another glorious death trap that spawns mobs at night and sets them on fire by the morning. And you sounded abit different from the usual spontaneous ModernFrenchieGaming. wow, you are an ingenious redstoner. i am certaintly not as good as you but i one made a really cool invention. the idea with this invention is that a player walks into a small room with an iron door at the entrance, the iron door is staying open without being connected to any VISIBLE redstone. the person walks in to see a diamond block set in the wall on the other side of the room, naturaly the person mines the block but when it breaks the iron door snaps shut and sand starts to slowly fill up the room until the person suffocates. do you intend to blog about the upcoming comparator item as well? I enjoyed the Blog but isn't it a little too basic? To us maybe, to others maybe not. That pose... I love it. I'd post some deeply insightful comment, perhaps pertaining to the veracity of cake, or a simple emoticon, or perhaps even a philosophical rant of agreement, but forget that. Nice blog. I found this too complicated. I thought you'd find it too difficult. Here's a simpler version. There is also a way to use the redstone block (on piston) to retrect it when its night time to light up lamps.